No. While I realize Thomas Hardy is supposed to be one of the great writers, this wasn't my cup of tea. The story centers around an innocent girl who's not very decisive or clever. It's hard to imagine her last lover, an intellectual, really sees anything in common with her. Hardy is a master of the English language, but at times his using 20 words when 5 will do to get the point across, can tax one's patience. Create a more believable central character. What about Anna Bentinck’s performance did you like? Anna's performance was great. I picked the book in part based on her being the narrator. 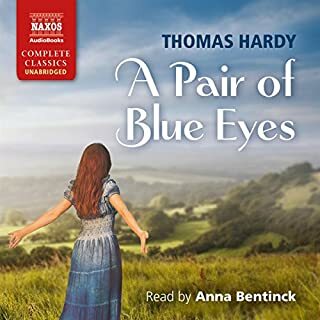 Could you see A Pair of Blue Eyes being made into a movie or a TV series? Who should the stars be? It could be made into a movie I suppose. The leading lady could be Anne Hathaway, with Russell Crowe playing Harry, and Jude Law playing Smith. Elfride's father could be played by Michael Caine. 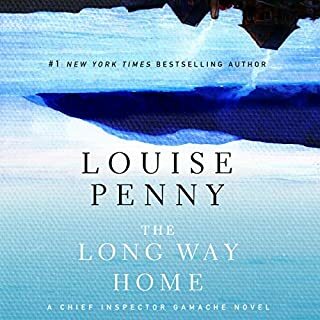 I persevered because of the narrator, but was annoyed with myself for investing that much time to reach a disappointing ending. Yes, I'd recommend the book. Interesting plot, surprise ending. What was one of the most memorable moments of Pardonable Lies? Discovering that the deceased has a daughter. Have you listened to any of Orlaugh Cassidy’s other performances before? How does this one compare? Cassidy's performance is good here. I find she can tend to talk very fast sometimes, and I have to rewind and repeat a passage to understand what she's saying. The author seems to be evolving Maisie's character. Even when Maisie tells a lie, you still feel she's done it for a good reason, and she still has integrity. If the author got to the point quicker about the significance of the tapestry. Also Rollo is an interesting character but he wasn't utilized much in this second book. I would have liked for the author to use Rollo more for comic relief. Also, the author seemed to drag out the engagement, and the main character's reticence to plan her wedding in a chinese-water-torture way. A little sappy and emotionally mushy ... not my style. 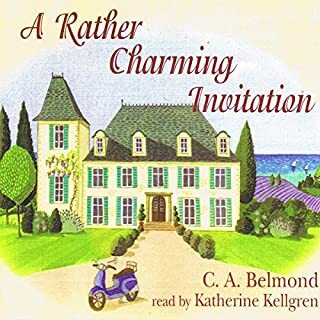 Did Katherine Kellgren do a good job differentiating all the characters? How? Yes. I liked her voices. She made both males and females very believable - good annunciation, good listening speed, good accents! Disappointed. I had listened to book 1, and I did not feel this was the same calibre of story. 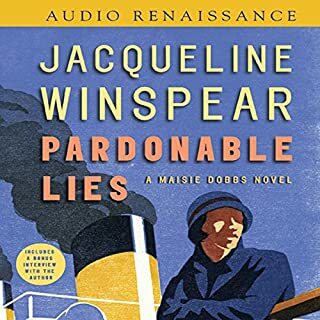 Where does Maisie Dobbs rank among all the audiobooks you’ve listened to so far? It ranks about a 8.5 out of 10. 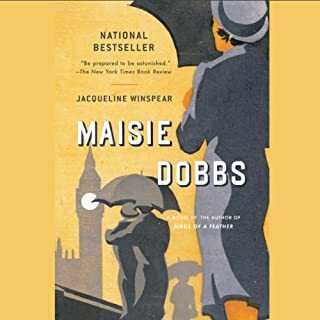 What was one of the most memorable moments of Maisie Dobbs? Dealing with the lice every day in her clothing while working and sleeping in awful conditions. Having read about WW1 conditions I knew this was an historical reality. What does Rita Barrington bring to the story that you wouldn’t experience if you just read the book? Did not think about this character much. Good story, bad narration speed. What did you like best about Birds of a Feather? What did you like least? The story line was OK, not as good as book 1. The narration left much to be desired. It was hard to listen to because it played way too fast, and couldn't be adjusted to a comfortable listening speed. I ended up stopping and replaying sections because I missed details. Not a relaxing listen. The plot was OK, and there was suspense and surprise in that the murderer was someone I didn`t suspect. What didn’t you like about Kim Hicks’s performance? Her annunciation was excellent, but she either spoke too fast, or there was a technical problem with the recording speed. 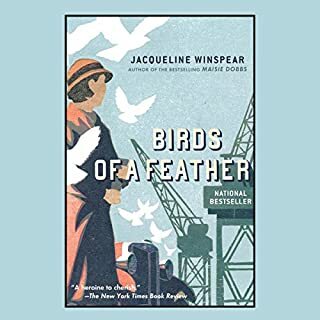 Did Birds of a Feather inspire you to do anything? 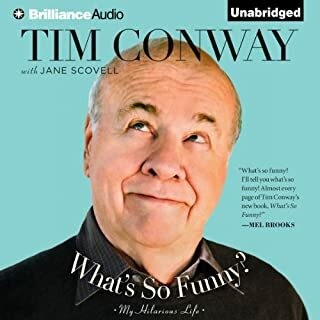 Would you listen to What's So Funny? again? Why? No, I wouldn't listen again, as I got all his points the first time. Tim spoke very fast, as many Irish and Irish descent people do. Luckily Audible has an option to slow down the dialogue - otherwise you can miss some of what he's saying. Tim's characterization of Harvey Korman. No, it was humorous, and I enjoyed reading about Tim and his famous friends. I enjoyed hearing about the tricks he played on people. He comes across as such a likeable guy that the listener/reader feels happy for him: happy for his successes, and that he ended up marrying the love of his life. I would not recommend it, because it doesn't have many interesting stories. With her vast experience in show-biz and having rubbed shoulders with many performing Greats, I'm surprised her tales were so lacklustre. Was she holding back the juicy stuff because she's such a lady? I would have expected a much more interesting book. 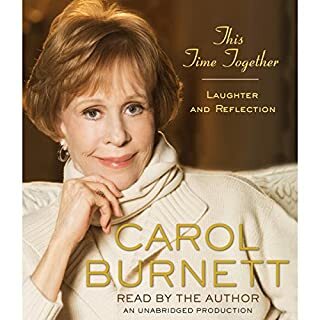 What about Carol Burnett’s performance did you like? She has an expressive speaking voice. Could you see This Time Together being made into a movie or a TV series? Who should the stars be? Louise, what were you thinking? I liked the language. It communicated well the French Canada culture. I didn't like the long drawn out descriptions of paintings. It made the story drag. Recommend it to the 35 plus group.